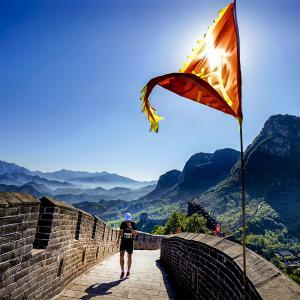 WELCOME: Kathy Loper Events is proud to announce our 18th Annual tour of the Great Wall Marathon, Half Marathon, and 8.5K in Beijing, China on Saturday May 18, 2019. This unique sporting and touring opportunity, under the direction of the Danish and Chinese Athletic Federations is an incredible experience for both the participant and spectator. COURSE:"The Marathon of the Millennium" is now an international event. 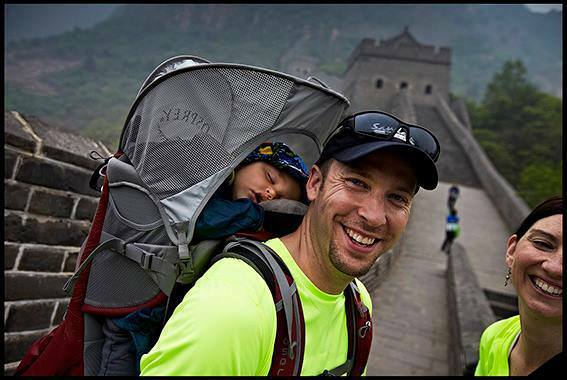 The course is awesome with 8K on the Great Wall. 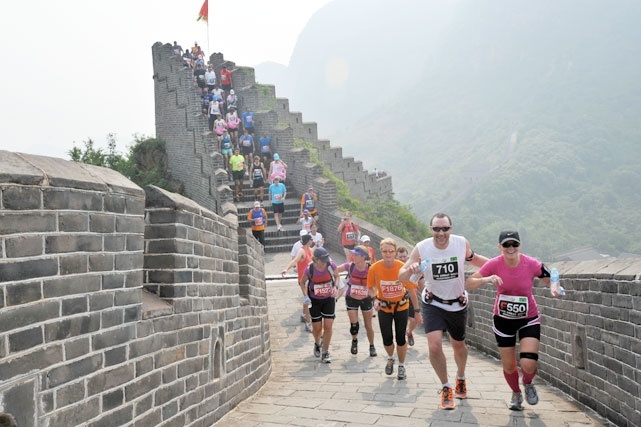 With the 2582 steps, varying greatly in width and height, the course is run on some steep ascents and descents as well as some very narrow passages on the Great Wall. Participants in the full marathon will conquer this section twice, while the half-marathon and 8.5K routes will travel through the farmland and villages and cover the 1800 steps of the Wall only once. The longest part of the course is flat with some rolling terrain as well as some dirt road as it travels through the Chinese farmlands and villages. Please note this event is spectator friendly; you don't have to participate in the runs to travel with our tour. Non-participants will have the opportunity to experience The Great Wall at Huangyuaguan on inspection day two days before the actual event. Transportation is available for spectators on event day to various sections of the course to view the runners. So tell your neighbors and family members about this incredible, awesome travel experience. * Per person, sharing twin, land only. For all our programs the deposit is $500.00 per person at time of booking. Add Travel Protection Plan (ask for quote) per person if desired. is available which covers your moneys paid if you must cancel or interrupt your trip for medical reasons. 15 March 2019. (Final invoice will be sent out by 15Feb2019). * Accommodations at Superior First Class to Deluxe Hotels as shown, basis sharing double/twin, non-smoking room. Single room supplement available. * Full Buffet Breakfast daily at the hotels (special light breakfasts on early morning starts). * "Welcome to China" cocktail and special carbo-loading Pasta Dinner at the Beijing Capital Hotel. * Group transfers from/to airports, including baggage handling at airports/hotels. * Sightseeing and excursions as shown, including entrance fees to places visited. * Hotel service charges and hotel taxes. * Tipping to local guides and drivers on included services. 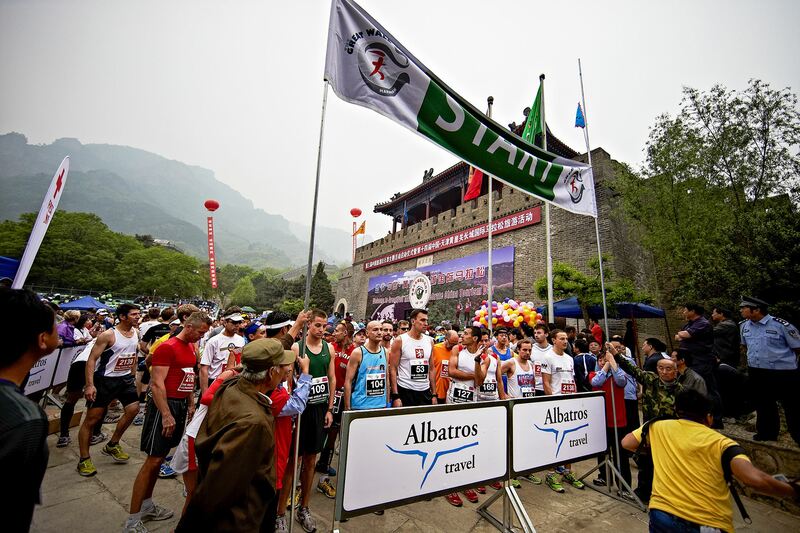 * Great Wall Marathon/Half Marathon/8.5K/Spectator official Registration Fee of $750.00 which includes: 16 May bus site inspection day trip including lunch, 18 May race day bus trip including lunch, organization of run by Chinese/Danish organizers, course marshals all along the run route, water stations every 1 1/2 miles,finisher medal, certificate, Gala Dinner including transfers, etc. Note: This fee is included in the tour price and is mandatory for every participant on this tour, running or not. We will automatically register you for the event. * 20-minute cool-down massage after the run for every Kathy Loper Events participant in our exclusive KLE massage tent at the finish line. * Surprise memento of the run on the Great Wall. * A KLE Hospitality Desk in the Lobby of the Beijing Capital Hotel available daily for optional day tours, evening special dinners, or for any other event or shopping suggestions or general information. *Round trip transfer to/from Mt. Huashan and entrance ticket. *Round trip cable car ride to/from top at Huashan with picnic lunch. *Tour of the Terra-Cotta Warriors Excavations including lunch at the digs. *City Orientation Tour in Xian as indicated. *Accommodations at 5 star Sofitel Hotel. *Air fare Beijing/Xian, Xian/Chengdu for coach class. *Accommodations at 5 star luxury Sofitel Hotel Xian, Crowne Holiday Hotel, Chengdu Non-smoking rooms. *Hotel taxes and service charges. * US Passport fee (must have a valid US passport valid to at least 01 Dec 2019). * China Visa Fee (after registration, we will send you a visa kit to process). * Tips to local guides and drivers on Optional Tours and to masseuse at the KLE massage tent after the race. * Items of personal nature, and any items not specifically listed as included herein. If a sharing person drops out, he/she is responsible for the resulting single room supplement cost to the remaining room partner, unless a new share person can be found that suits the remaining room partner. Prices are subject to adjustment by time of final invoicing, mainly in the event of currency variations, airport taxes which can fluctuate, and possible fuel surcharges. 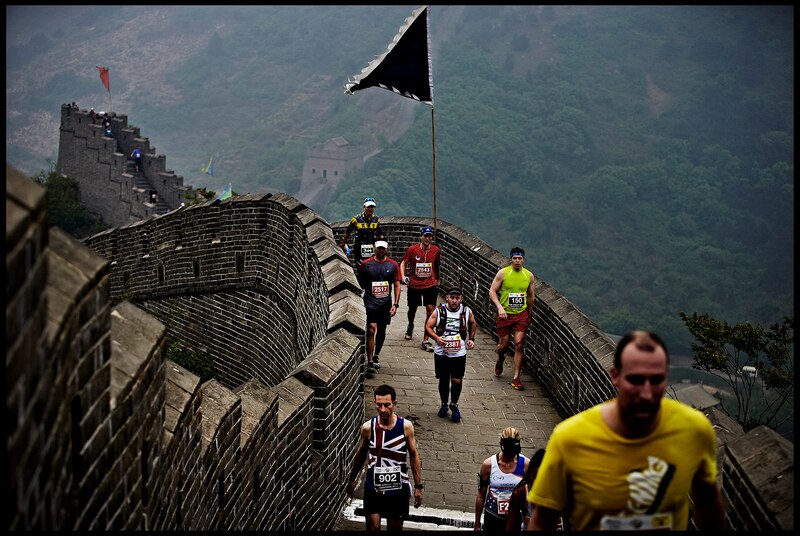 Your Great Wall Marathon package has been developed as a group movement in order to take advantage of specially negotiated prices when traveling as a group. A fee of $150.00 per person will apply per deviation or change from the original program, plus the extra costs of new or changed services. If such changes necessitate cancellation of confirmed air or ground arrangements which are subject to cancellation charges, unrecoverable costs will be added to the change fee (this occurs likely within 60 days of departure when air tickets and other documents have been issued).